Home / 2013 / July / 25 / Join us for the CTLT Summer Institute! 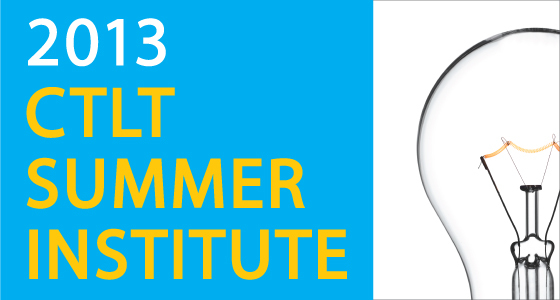 Registration is now open for CTLT’s Summer Institute: August 20-22, and September 3-6, 2013! Join us for a series of workshops with the goal to help both new and developing faculty members and graduate students improve their teaching. Workshops offer opportunities to explore ideas and share strategies across a range of topics including: assessment, metacognition, facilitative teaching, participatory learning, and preparing for the upcoming Truth and Reconciliation Commission (TRC) day on September 18. Open to all faculty, staff, and graduate students in the UBC teaching community, we invite you to get ready for the academic year and connect with colleagues at the 2013 CTLT Summer Institute. Register online today!